Oh dear, MissJenFABULOUS is in this contest? 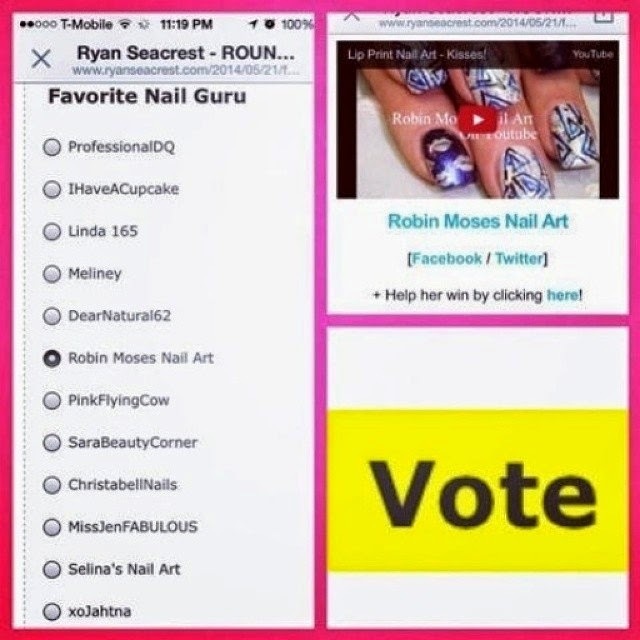 Even if you aren't voting for Robin, PLEASE vote AGAINST her! She is a massive nail art thief and it disgusts me that she's getting such massive attention. Actually, Robin, since you're one of the bigger voices in the nail art community, it'd be really awesome if you could do a video or blog post to get the word out about her. There's already a big blog and video post about her here: http://zenorah.com/2013/06/12/missjenfabulous-aka-the-nail-art-thief/ But the word simply isn't getting spread far enough, and because of that, no one is doing anything about the situation and the horrible woman continues to get thousands of subscribers and make money off of videos based on art that she STOLE from other, far more talented people than herself. Sorry to make a big deal out of it but imo it simply IS a big deal.